Hello everyone! It is as good a time as any to make my way back here and get busy again. Forgive any minor bits of craziness, suffice it to say that I just finished watching Madoka Magica Episode 3 and I am still a little shaken (coward desu). Like my friend pandamajik I am just getting finished with a busy week after returning from Ohayocon 2011. I can’t tell you how excited I was to make it back for another go around this year. Ohayocon 2010 was actually my first convention experience in the months after I truly “discovered” anime and manga for the amazing art forms they were. What was also special about this convention was that it was the first time I had the opportunity to share my passion for Vocaloids with other fans by running my own panels. It still leaves me baffled how much has changed for me in the past year…just 12 months ago I was wandering around Ohayocon ’10 in wide-eyed shock at the spectacle of 10000 anime fans and cosplayers, recognizing almost nothing and really just along for the ride. Flash-forward a year and I actually know my stuff a bit when it comes to recognizing cosplays and can easily discuss a whole variety of topics with other con-goers. Even more amazing is that this time last year I didn’t even know that things such as Vocaloids and one insanely cute Vocal-android by the name of Miku Hatsune even existed…my how things change! After the jump I will be discussing my thoughts and opinions of Ohayocon programming, my own panels, and the con overall. I didn’t have a good camera on me this year but I do have a few pictures and videos taken by my awesome friends to share as well. There was lots of fun to be had this year but there was also a number of concerns as well, so I will do my best to address all of them. Please feel free to add your own comments at then end! We finally have some excellent hosting! Thanks to a recent server transfer masterfully orchestrated by pandamajik we will finally be able to bring you AnimeInsights unencumbered by month-long outages, slow load times, and a blogger interface that was enough to almost scare me away from posting entirely. This is definitely big news as we will finally have a chance to bring you reviews of the Winter Anime Season much easier, and I will also be publishing a look back at the very exciting fall season I have enjoyed. Vocaloid posts will of course continue, but most importantly it will give us an opportunity to cover Ohayocon (which will be attending AND participating in) the way we want to. But for now lets take a look at another group of interesting selections from the wide world of Vocaloid…. Good evening everyone! Tonight I’ll be bringing you guys a quick review of the unboxing of my most recent Vocaloid collectible. This might or might not be the start of a new type of article here on the blog so feel free to give some feedback if things like un-boxings, figure reviews, collectibles continue to interest you. Yesterday I received my official first edition of Exit Tunes latest and highly anticipated Vocaloid Album release: “Exit Tunes Presents Vocaloanthems ft. Hatsune Miku. For those who are unaware, Exit Tunes is a Japanese record label which has released a several Vocaloid collaboration albums so far including the well known Supernova series. 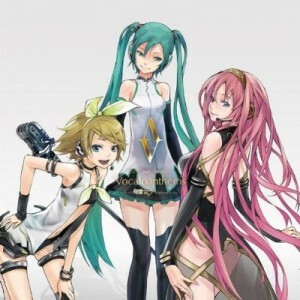 Their compilation album “Exit Tunes Presents Vocalogenesis” was the first Vocaloid album to have the distinction of topping the Japanese Oricon Sales Charts back in May. It is important to note that Exit Tunes is not the producer of any of the music found in the album. Given the very diverse nature of top Vocaloid songs and the plethora of producers who create them it is often necessary for labels like Exit Tunes to compile them into these type of albums for better sales success. Its also fair to say that the title is also bit misleading, as not only does it feature the world’s most famous virtual diva, Miku Hatsune, but it also includes songs featuring the voices of Kaito, Ren Kagamine, Len Kagamine, Meiko, and even upgraded UTAU program Teto Kasane. Follow me after the jump for some photos of the item, a look at the goodies that came with the 1st edition, and a review of the tracklist. Man it still is good to be back. So very happy that I did get a few views for my return post, thank you all very much for reading! 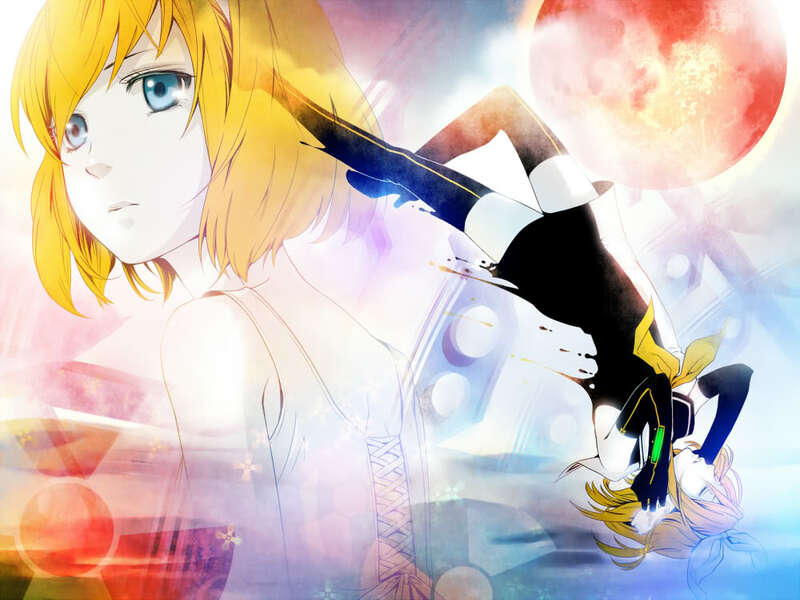 While I continue to be decently active over at Vocaloidism.com, its been quite awhile since we have had some Vocaloid goodness here on the blog. Now that we’re back and active I will try my best to bring you some awesome Vocaloid recommendations every week, along with pertinent news, any announcements about my Ohayocon Forums (which were approved), and my slow progress on becoming a Vocaloid Musician. Vocaloid News and Ohayocon 2011 Vocaloid Panel Proposals! Good evening everyone, I come to you first with the big news that absolutely made my night yesterday after I suffered through a showing of the terrible Avatar: The Last Airbender Movie (more on that tomorrow). A huge thank you to Vocaloidism.com for breaking the news (in English lol) of the SEGA announcement of the Miku Hatsune Giving Day Concert Blueray Release. Another big thanks to blogger/V-ism Writer DTKel for pointing me in the direction of the pre-order which I have already done, hopefully I can manage to receive on of the limited edition print run. Please give his Vocaloid blog some views, I know I will. I already loved the webcast but once I clicked on the NicoNicoDouga preview I realized that this release is going to be on a whole different level and I can’t wait to be the proud owner of it. Please do more concerts in the future! America too, kthx. And now for some personal business, I finally completed the write-up of my Vocaloid Panel and Concert proposals for Ohayocon 2011 happening next January. After substitute hosting the Vocaloid panel at Colossalcon I’ve been wanting to start a project from the ground up and I hope that I will be able to do this for the upcoming convention. Whether or not you plan to be there I would love all you readers to check out my plans and give me some feedback. Any and all recommendation either here or on the message boards will be welcome as well. Look for more from us tomorrow including some Vocaloid pickups and a crushing review of Avatar: T: tLA. We will also be starting are end of season reviews and start of summer 2010 previews very soon so be sure to stick with us! Another week and some more Vocaloid recommendations from descent. I am still continuing my own big Vocaloid aspirations and have succeeded in downloading another 100 albums or so over the weekend that I will soon be adding and organizing into my Itunes library. Having finally amassed a truly huge collection of amazing works I will do my best to increase the frequency of these posts as well as start doing more specific features highlighting individual producers and Vocaloids. I have alot of great ideas to continue to expand this section and will also be posting my ideas for hosting several Vocaloid-related panels at Ohaycon 2011 here on the blog as well as on the Ohayocon forums, so be sure to check that out. Here is the link to the entire collection with translator notes on Danbooru. Follow this link to user Yamada’s MediaFire Account to Download the entire series (currently at 461 strips). Now follow me after the jump to get to the music! I admit that I wasn’t all that high on the ColossalCon 2010 Dealers Room selection when I first went through it last Friday and I honestly still believe that the it really was rather subpar. However, this being my second-ever convention and my first after becoming a massive Vocaloid fan I was nevertheless determined to bring home at least a few things for myself and even a gift or two for some of my good friends. So Saturday morning with a bit more determination and a little luck I was able to find several small but exciting trinkets that definitely brought a smile to my face for a reasonable price and I was definitely a little more impressed with the dealers. Please follow me past the jump to see a small photo-diary of all my purchases and try your best to excuse the ultra-amateur photography courtesy of my lack of skill and half-broken camera (no snide remarks panda!). This week has involved lots of Vocaloid fun for me. Fresh off successfully getting my MCAT exam out of the way I set out to add some unique album art of Miku and all her friends to my 500+ and growing collections of songs. It involved plenty of iTunes headaches and workarounds and some annoying use of PrntScrn and Paint but its been a fun time and its kind of neat seeing a little bit of every artist’s unique impression of the Vocaloids they use appear along with their songs when I shuffle. It also had me listening to and discovering dozens of new songs through some Youtube link-adventuring and we’ll be visiting some of my discoveries for this week’s pickups. Finally thanks to the Facebook Miku Hatsune fan group I saw the newly released preview of Sega’s Project Diva 2nd opening sequence which will be releasing to much fanfare later this summer. Here is the aforementioned OP preview I mentioned where we get to see Miku, Rin, Len, and Luka rendered in fabulous detail in a school setting set to a background of a very neat Ryo song. Sure the gameplay graphics won’t be this awesome but nevertheless this 46 second clip already has me sold and dying of anticipation. As some readers of the blog, and all those listening to the music playing in my car can probably tell you, I have fallen absolutely in love with Miku and nearly all of her Vocaloid friends over the past month or two. Thinking about how to best incorporate that into a small feature on the blog I decided to start sharing a few of my favorite song pickups from the previous week to help interested readers discover new Vocaloid works. A beautiful sounding but melancholic song which somewhat metaphorically addresses a painful relationship. Gumi’s voice is fabulous here and the song itself is absolutely pleasing to the ears, for the Vocaloid haters its almost impossible to tell that one is used here. Definitely raised my awareness of Gumi works which I had never really listened to before. 2 More songs after the jump! It looks like the much anticipated update to the world’s most popular Vocaloid will finally be hitting shelves for popular consumption on April 30th. 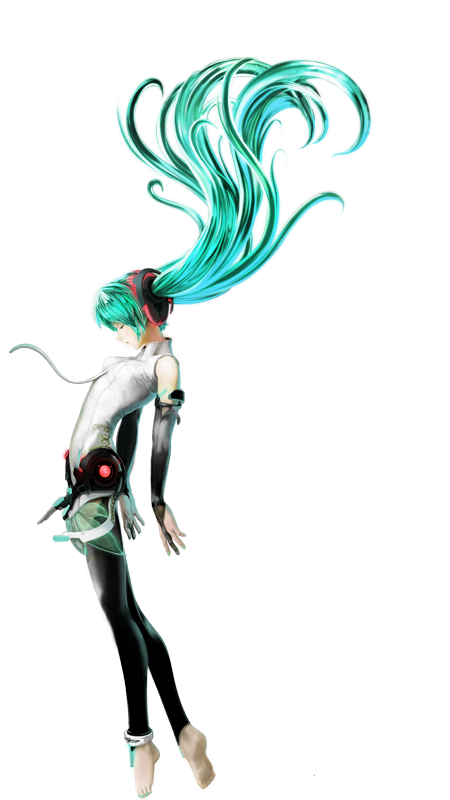 Miku Append is a comprehensive update that will enhance and expand our lovely Miku Hatsune’s vocal range and capabilities. Not only will her voice be made smoother and more natural, it will introduce 6 new “tones” in which she will be capable of singing: Sweet, Soft, Vivid, Dark, Light, and Solid. The product costing 16800 Yen (approx 186USD) can be found at here at Crypton’s official site. You can also find various fan-made artwork relating to Miku’s new look as well as several excellent samples of her new abilities. Why is this big news? Well with this release now coming into the mainstream you can definitely expect a fresh wave of amazing Miku songs that take full advantage of her voice as well as plenty of remakes that will give some of the classics new life. The Append software pack will likely be the new rage for awhile until similar updates come along for her Vocaloid pals and you can expect that her starpower is only going to increase in coming months. Perhaps they might even decide to give the world tour a shot. (a man can dream, haha). A few more after the jump….